HEROES TREMBLE WHEN DR. FRIGHT RULES THE NIGHT. In the year 2075, a new menace has appeared. Wielding the power to “tune in” and project nightmares into other people’s dreams, Dr. Fright is planting fear in the hearts and minds of children all over the nation. 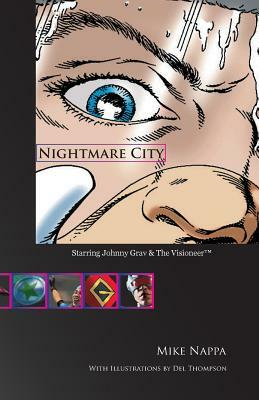 When he breaks through the Heroes LFC defenses, it’s up to Johnny Grav & The Visioneer to solve the mystery surrounding his identity and to bring an end to Dr. Fright’s reign of nightmare terror. But can they do it alone?